I’m the first one to admit that lots of books make me cry. I’m a softie. When it comes to the really sad ones, I’m a mess. John Green’s ‘The Fault in Our Stars‘ left me sniffling for a good half an hour after I’d finished the last page and I had to abandon ‘Marley and Me’ for an emotional break until I’d recovered enough to continue. But very few books make me actually laugh out loud. 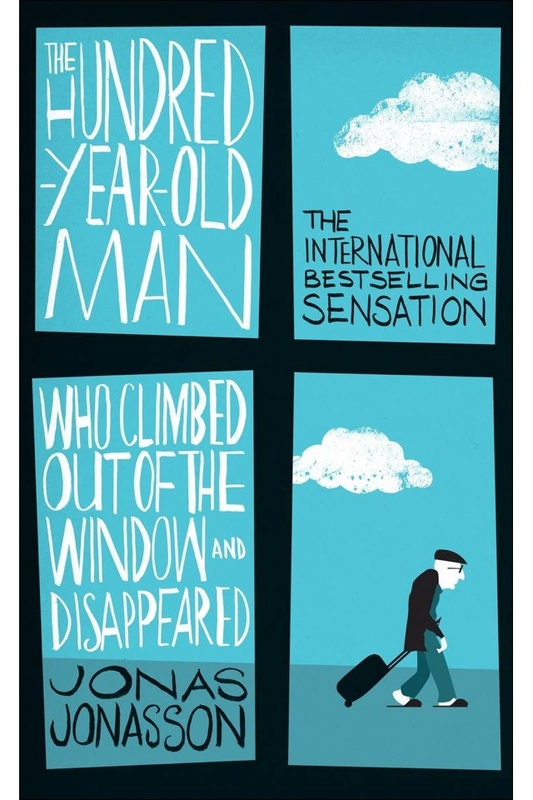 However, Jonas Jonasson’s ‘The Hundred-Year-Old Man Who Climbed Out of the Window and Disappeared’ was a delightful exception to the rule. It’s a tale of two halves. In 2005, Allen (the aforementioned centenarian) climbs out of the window of his nursing home to escape his 100th birthday party. The unprompted theft of a suitcase full of money sparks a series of progressively unlikely events that sees Allen being pursued by a criminal gang on one side and an increasingly bemused police department on the other. Along the way, his band of unusual companions expands to include a petty thief, a hot dog vendor, a flame haired beauty, an Alsatian and an elephant. In a separate thread, we learn about exactly what Allen has done with his 100 years on this planet. We follow his journey as he travels around the globe, going wherever the wind takes him, exploiting ludicrously fortuitous circumstances for all they’re worth and doing precisely whatever comes into his head. By his late 60’s, he’s been on first name terms with some of the world’s most famous leaders – Franco, Stalin, Truman, Churchill and Kim Il Sung to name but a few – and has sat down for dinner with at least half of them. We discover that Allen’s actions have played a crucial role in some of the most momentous events of the twentieth century, from the Atom bomb to the Cold War, despite the fact that he is unswervingly uninterested in politics. He also shows an almost unparalleled aptitude for languages, an astonishing lack of tact and what by all accounts should be an incredibly unhealthy ability to drink large quantities of vodka. Some people have commented that by the end, this book gets a little bit too far-fetched, but you just have to take it with a (small) pinch of salt. Reading it was like watching a comedy TV sitcom. You know the jokes are coming and you’re waiting for the next one, ready to laugh along in time to the pre-recorded studio laughs. It makes you feel good. One of my favourite parts was how the group gets around the problems involved in transporting an elephant throughout the book, whether that’s by getting an almost-qualified carpenter to transform a second hand bright yellow bus or by bribing officials in Bali. I also laughed out loud when I reached a section where Allen, pondering his next holiday destination, has a casual chat over drinks with some of the world’s most infamous communist leaders to discuss where they think will be the last place on earth their ideology would reach. I read this as an e-book and as such, I can’t physically lend it to anyone. All I can do is stress, again, that you’ll enjoy it! Trust me. And when you’ve read it, let me know so I can talk about it some more! 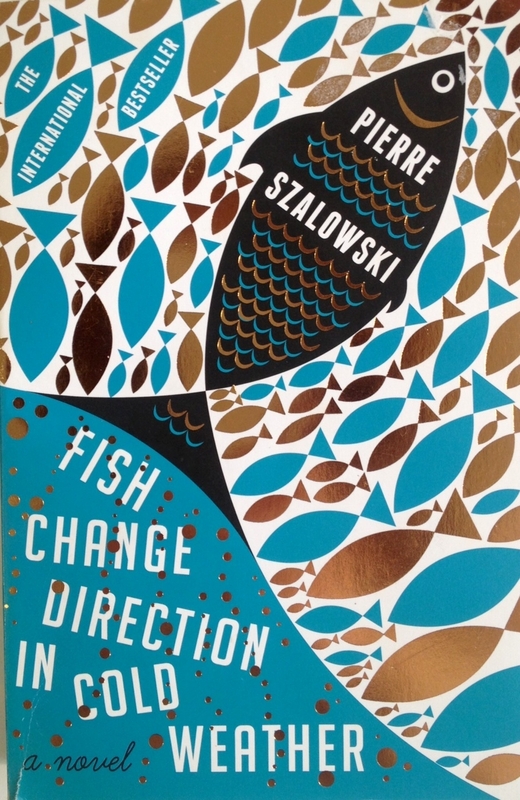 More of a delightful fairytale than a novel, Pierre Szalowski’s Fish Change Direction in Cold Weather (or FCDICW from here on out – it’s bit of a mouthful!) delivered a real feel good factor. I recently wrote about my bad habits when it came to judging a book by its cover (the link to this article is here), and I have to admit that this was one such case. So when I opened the book and started to read I was crossing my fingers that it would live up to expectations. I have to say, it didn’t disappoint. FCDICW focuses on a group of neighbours in a street in Montreal whose lives and relationships are changed irrevocably after a freak ice storm forces them together in more ways than one. I won’t say any more for fear of giving away spoilers, but from the very first page it’s obvious that this book is going to be one with a happy ending. At just under 250 pages, it’s a relatively quick read and the characters admittedly aren’t developed in too much depth. However, for me, this really added to the general feeling created by the book that I was observing the characters from a distance or peeking in on their lives through an icy window. This emotional distance from the central protagonists (we never even find out the name of the narrator) works well with the structure and tone of the book, however, it meant for me that FCDICW probably won’t make it into my list of all-time greats. Despite this, I did really enjoy reading it. I’ll be keeping it on my bookshelf to lend to others if they need a quick pick me up, and I think it’s probably one I’ll re-read again in the future. It’s a perfect choice for cold, dark winter nights when you want to feel cosy and comforted, inside and out!